2006-09-16  The idea of the "Oranjehuis" came up during the last ten years at big events. Every kind of sport, e.g. soccer or the Olympic Games everywhere is a Holland-House. It was made for Fans to get the party in one house, said BDO-member Marcel Abrahams. 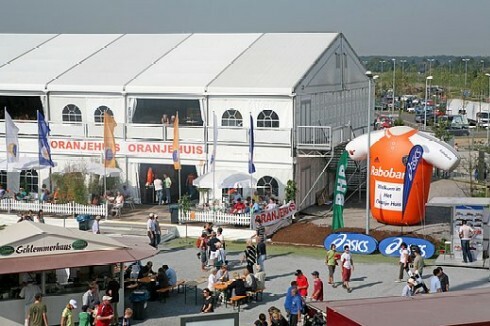 The Oranje-Huis in the Warsteiner Hockeypark has a part for everyone and a VIP-Lounge. After the world cup, it will become removed.